The cornerstone of the design profession is giving and getting feedback. 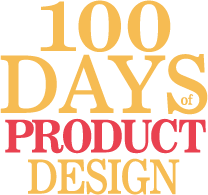 Product designers work collaboratively on every project. That means they must be able to listen to the opinions and concerns of their users, as well as engineers, product managers, executive stakeholders and anyone else involved in the project. Being able to listen to critique and give constructive criticism in turn will make or break you in this profession. Feedback is what drives and inspires the good designer. It is critical to the process, because only with it will you improve and your products improve. You’ll get feedback from engineers who aren’t sure they can build what you’ve designed; from product managers who question whether your designs will meet business needs, from marketing people who want more promotions and sales people who want more ads. You’ll hear from C-level executives who don’t understand the concept and VPs who liked their ideas better. The most important feedback comes from users. If they don’t like the product, they won’t use the product. Then it’s game over for everyone. Have you ever worked for a boss who never wanted to hear your suggestions? Someone whose ego was so engaged that the smallest comment caused him to puff up his chest and stare down his nose at you? You can’t then be annoyed or hurt when the world tells you exactly what they think. That doesn’t mean that you must believe all the criticism you hear. Consider the source. If it’s your mother telling you how much she loves the website you designed, you might want to get a second opinion. In the same way that if your jealous sister tells you how terrible the website is, you might want to hear from a neutral third party. Some critique will be more valuable: it will inspire your creativity, confirm your doubts, send you in a new (better) direction. Other critique will be less valuable: it will be biased, or based in a single, arbitrary view. It will have an agenda other than to improve your product. Not all critique is equal. That’s the trick, really. How to use critique appropriately. How to give it without destroying the one you’re critiquing; how to get it without throwing up your hands and giving up. There are some very good techniques for passing along helpful feedback — and for getting feedback you don’t really want to hear. If you get feedback while you’re working on a project so that you can make changes (timely), and that feedback includes specific changes or improvements (specific), focuses on the work and not your quality as a human being (not personal), if you asked for the feedback (delivered with consent), it provides a path to improvement rather than a suggestion that you throw the whole project away (constructive) and you’re allowed to ask clarifying questions to understand it better (a conversation) … then that is the best of all critiques. If it comes too late to make changes, expresses a vague dislike of you and the product, comes out of the blue and is intended to shut down all conversation, then it very bad feedback. Practice giving and getting critiques. Learn to use feedback to improve your product. Psychologists talk about the sandwich method of giving feedback. First mention the things you like about the design. Then point out (politely) those things that might be improved or you found confusing. Finish by saying something complimentary again. Give good feedback to a fellow designer, and accept some feedback too. Share your coffee shop redesign with someone and ask for feedback. Write up your results and share them in the comments and/or on Dribbble and Twitter #100daysdesign. Don’t forget to include your original and revised designs.